Annette Lyons Wilson, passed away peacefully in her home on Thursday, April 12th, 2018, just shy of her 86th birthday. Annette lived a life full of service, love and humility. She loved her family and was an example of Christ-like love to everyone she met. She loved watching sports, playing scrabble, doing crossword puzzles, jigsaw puzzles, but most of all being with her family. She had a great love for children and enjoyed tending her grandchildren through the years. 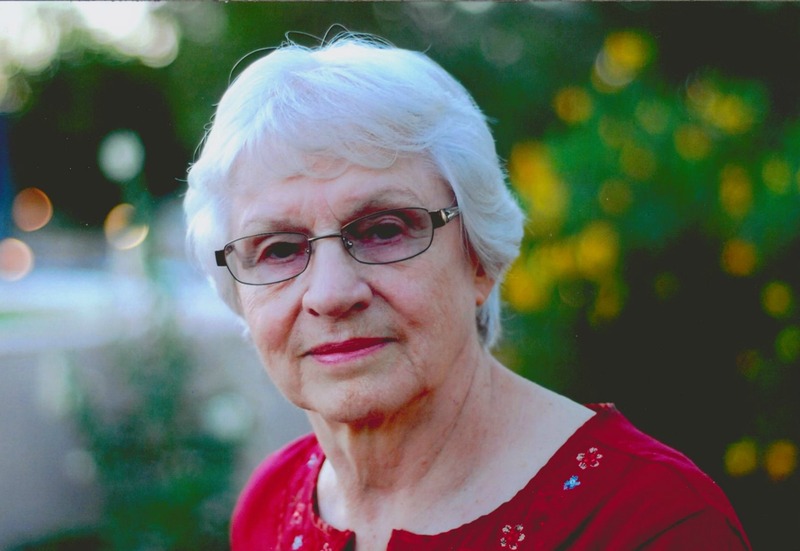 She found great joy as she served weekly in the Arizona Mesa Temple as an ordinance worker for 13 years. She blessed so many people’s lives and truly was an angel on earth. She was born July 10, 1932 in Burley, Cassia, Idaho to Ivan Edward Lyons and Ruth Smith. She is survived by her children Kerma Solorzano, Robert Wilson, Lorna Evans, Susan Wright, Wayne Wilson and Brad Wilson, 30 grandchildren and 48 great-grandchildren with 7 more on the way. She was preceded in death by her husband of 32 years, Arnold Ray Wilson and her sons David Wilson and Steven Wilson. Annette will be greatly missed and the memories she made with everyone who knew her will never be forgotten. She had a strong testimony of forever families and we know that we will see her again someday. Services will be held Friday, April 20th at 11:00 AM, with visitation from 9:30 – 10:45 at The Church of Jesus Christ of Latter-day Saints located at 3344 E. McDowell Rd, Mesa, AZ 85213. I was really touched by the loss of your loved one. When a precious loved one falls asleep in death, it brings to mind God’s precious son Jesus. It is comforting to note how he viewed death. I would like to share it with you from the gift that the Most High God has given to each & everyone of us. Yes, His written word the Bible. In the Book of John chapter 11 verses 11-14 please, notice that Jesus viewed death as one Sleeping. He viewed death in such a comforting way. And, the Most High God promises that we can have the opportunity to see our loved ones again in perfect health (Psalms 83:18, Acts 24:15, & Isaiah 33:24). He even says where: Psalms 37:11 and for how long Psalms 37:29). I really hope that these promises were as comforting to you as they were to us when our daughter died and also when my precious husband of 50 years fell asleep in death due to cancer. I truly understand the pain that comes from losing someone so precious to us. Thinking of you at this tender time of Aunt Annette’s passing. What a beautiful reunion must have taken place for her with Uncle Arnold, David, Steven and many other loved ones. I’ve always thought that your mother had the same quiet strength and peaceful spirit about her that Grandma Lyons had. As a young girl I felt like I had a little connection to Aunt Annette that no one knew about. My second grade teacher had also taught your mom and sometimes she would accidentally call me Annette instead of Anita. I always rather like that.